Hey y'all! Mandee from The Kitchen Wife here, and like you I am well into the summer grilling season! There's nothing like the smell of great BBQ wafting through the air. All of those aromatic rubs and seasonings making our tummies long for the charred goodness. There are endless options for marinades and spice blends in your local supermarket, but they can get a little pricey. However, did you know that it's super easy to make your own at home? YES! With a few simple ingredients that many of you will already have in your pantry, you can have loads of delectable spice blends at your finger tips! 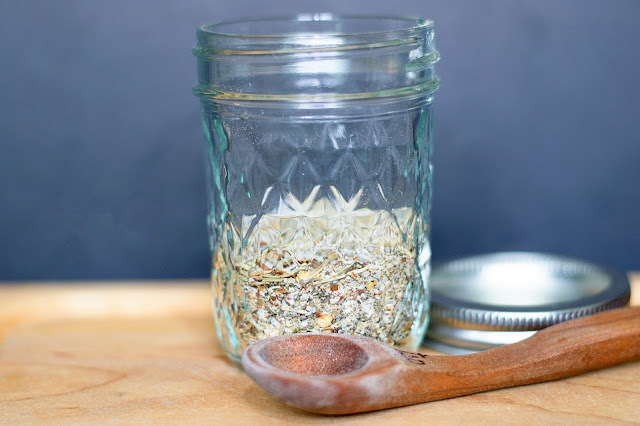 For today, let me share with you one of the most popular blends, my Homemade Montreal Seasoning. *Prep Time: 2 min *Cook Time: -- *Difficulty: Easy *Servings: 4 oz. Store in an air tight container for up to one month of grilling goodness! 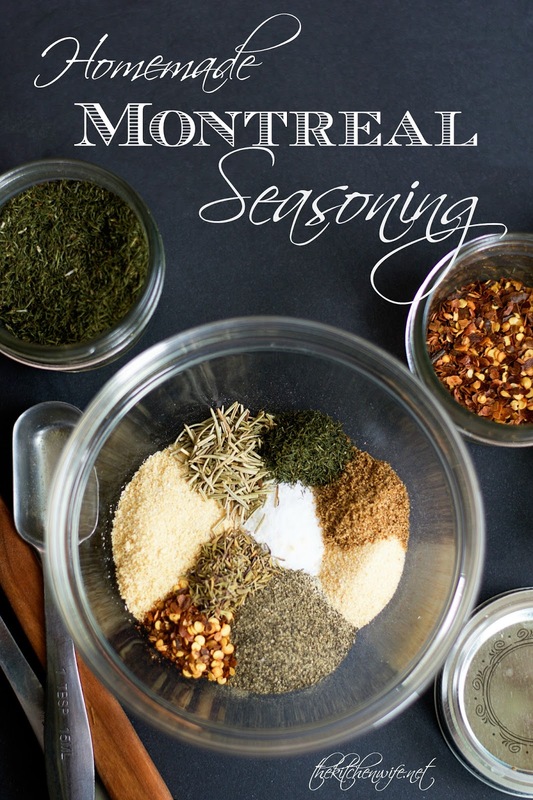 This Homemade Montreal Seasoning blend is great on chicken, steak, pork, and veggies! It's definitely the one to have in your wheelhouse this summer. 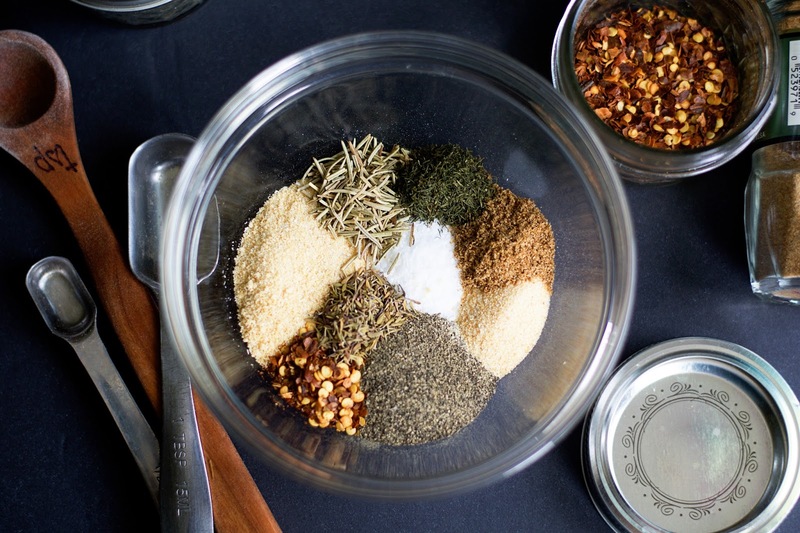 One of the perks of making your own seasoning blends is that you can control what goes in it. You control the salt, the spice, the herbs. Don't want the MSG that comes in a lot of dried spices. Buy organic and make your own blends. And you can make a month's worth of spice for pennies so why WOULDN'T you make your own!?! With that, this summer put your money toward great cuts of meats and farm stand veggies, and make the spice blends at home! Mix all of the ingredients into a small mixing bowl, and place in an air tight container for up to one month.